Always wanted that little memento you can't rub off? 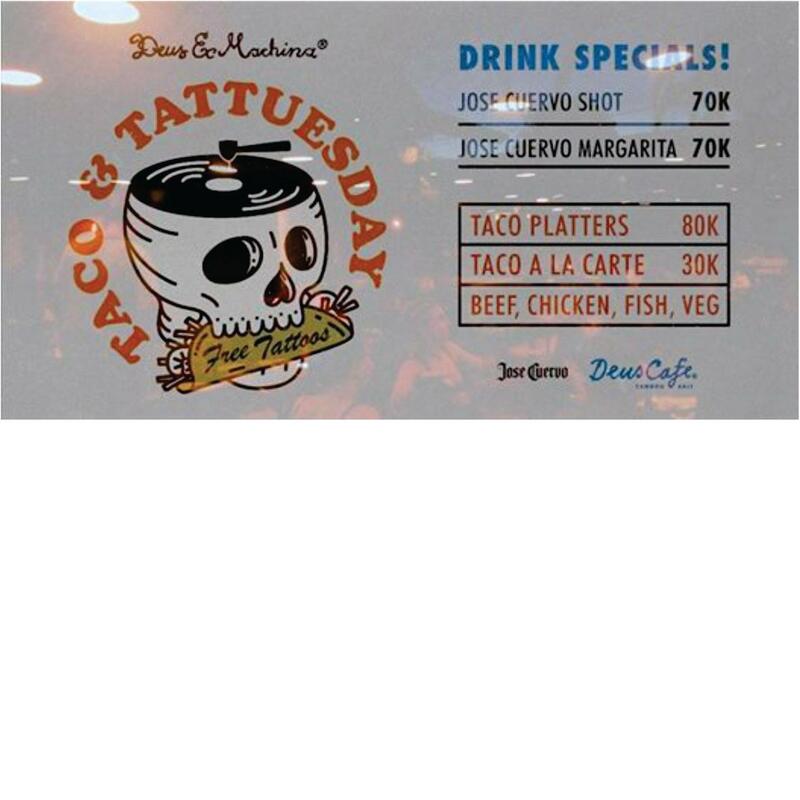 Get down to Deus Taco & TatTuesday. An age honoured event where we mix good vibes with good tunes. Add a healthy dash of tequila, add some tacos and shake up your entire evening leaving you branded for life. Every Tuesday we ask a couple of our amazingly talented tattooing friends to come in and for the first people to register interest, we throw a tattoo in with the price of a beer and taco. We'd love to give everyone one but with slots of thirty minutes each, there is only a finite number we can fit into an evening. So if you have your heart set on one, don't dilly dally, get down early and stake out your place. We have Taco's by the Platters or A La Carte. Jose Cuervo drinks specials all night long. If it's a quiet beer your after, we got those too.